Engineering managers and staff know that their company's success relies on the intellectual property (IP) developed during design, validation and production. This mission-critical information must be both easily accessible to authorized users and always protected from human error (or worse). Most internally-developed product data management systems omit many important functions, but the biggest challenge (and therefore the most common omission) is a carefully planned data access strategy. 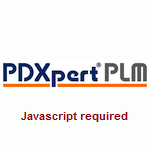 PDXpert PLM software gives you flexible, simple-to-manage role- and membership-based permissions that take account of item status, project team membership, file access, and a variety of subtle security issues. And our easy drag-and-drop file attachment process is tied to the engineering change approval workflow, which encourages centralized storage of product files while minimizing the risk of unauthorized file revisions or deletions. PDXpert PLM software ensures that your irreplaceable product data is always available, yet safe from accidental modification or loss. SaaS solutions — and PLM in particular — carry some uncomfortable risks with respect to data backup, disaster recovery, data access security, technician training, limited customization, and inaccessibility due to connection outages. With PDXpert PLM software, your intellectual property is always under your direct control, with your trusted staff following your approved procedures. If you're concerned about the risks of an outside data connection, anonymous network technicians or unknown security practices, you can choose to keep your data on your local network. On the other hand, if remote hosting is important, you have the flexibility of moving your server to a private hosting provider. Our forward secrecy encryption is considered more secure than TLS/SSL-enabled websites, which typically share a static certificate across all users. Unlike public cloud PLM solutions, you can change hosting providers or choose to bring the server back on site whenever you wish. And, unlike complex enterprise-style PLMs, PDXpert wraps advanced security features like encryption and Active Directory support into simple, set-it-and-go functions. Despite these advantages, you'll be pleased that a PDXpert PLM subscription is often substantially less than the on-going monthly charges of a public cloud PLM system.